This list of the 9739 members of the Highland and Agricultural Society of Scotland was printed in 5th series, volume 43, of the society's Transactions. The list, which gives year of admission, full name (surname first) and address, is set out alphabetically by county and show division - Aberdeen, Angus (Eastern and Western districts), Argyll, Ayr, Banff, Berwick, Bute, Caithness, Clackmannan, Dumbarton, Dumfries, East Lothian, Fife, Inverness, Kincardine, Kinross, Kirkcudbright, Lanark, Mid-Lothian, Moray, Nairn, Orkney, Peebles, Perth (Perth and Stirling show districts), Renfrew, Ross & Cromarty, Roxburgh, Selkirk, Shetland, Stirling, Sutherland, West Lothian, and Wigtown, with separate sections for members living in England & Wales, Ireland, The Colonies and Foreign Countries. In addition, prior to 1900 holders of the Agricultural Diploma and the First-Class Certificate in Forestry had been eligible for free life membership, and those surviving are listed separately in an appendix. This site usually costs a small fortune to use and appears to be mainly concerned with those carrying out one-name studies; nevertheless, it may help if your ancestor is included. The GENUKI (www.genuki.org.uk) pages for Berwickshire, Selkirkshire and Roxburghshire have been updated to add links to several relevant reference works found on the Internet Archive (www.archive.org). A large number of headstones at Elgin Cemetery were vandalised in the week beginning August 22nd 2011. Efforts are being made now by Moray Council to contact lair holders or their relatives. If you own one of the lairs, or are related to the lair holders, please contact Margaret Smith on 01343 557058 or by email at margaret.smith@moray.gov.uk. Ancestry has made access to its immigration and emigration collections free from August 29th until September 5th. So you have a week to find out where everybody went! Illinois State Genealogical Society is holding a talk in Tinley Park, Illinois, entitled “The Border Reivers & the Lowland Scots: The Making of the Scotch-Irish”, on October 6th 2011. 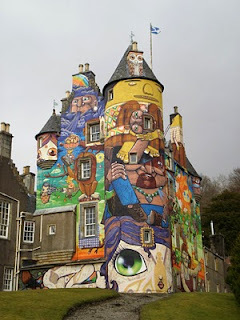 My next door neighbour, the Earl of Glasgow (Patrick Doyle), has asked that the graffiti currently adorning his house at Kelburn Castle be allowed to remain. The murals on the castle were painted by Brazilian artists in 2007 on the understanding that the work would be temporary, before the castle's exterior render was due to be replaced. I am a HUGE fan of the murals, which can be seen on my report of March 16th 2010 and I would fully support the call for the good noble's murals to remain, or to be reproduced if Historic Scotland insists that the render must be replaced. There is no point in preserving property just for the hell of it. Kelburn Castle is a major part of our local tourist landscape and as Mr. Boyle says, "The mural might look a bit outlandish and futuristic but if it provokes interest and makes people smile, why shouldn't it stay?" I absolutely agree - in Northern Ireland where I am originally from, complete idiots have plastered buildings with sectarian hate art, and yet they can get away with it. In Kelburn Castle, the work there is by comparison truly wonderful, and I would rather look at it as a modern addition to the landscape, a building that has merely adapted to the latest stage of its 800 year existence, than have it revert to just another ordinary stuffy Scottish castle. I'm not a great fan of the nobility - but hats off to Mr Doyle for going with this in the first place, and I truly hope he succeeds. So come on Historic Scotland - do the right thing! It's different and says more about modern Scotland than some dusty old turret rendered in pink could ever do. I've just been made aware of a website on the history of Scottish gypsies, which might be of interest. The Scottish Gypsies site is at www.scottishgypsies.co.uk. It is not a particularly detailed site, but does give a flavour of the community's history. and so well worth a visit. Ancestry.co.uk, the UK’s favourite family history website,1 today launched online the UK, Register of Duties Paid for Apprentices' Indentures, 1710-1811, which detail the boys and girls entering trades in the days when apprenticeships were an integral part of the work system. While modern apprenticeships were reintroduced in 1995 and the concept has taken on new meaning with the well-known TV show, these records come from a time when apprenticeships were a legal requirement in order for someone to take up a desired trade. The collection includes thousands of aspiring blacksmiths, coopers, tanners, bakers, drapers, toymakers, barbers, butchers and many more. Apprenticeships became a legal obligation in 1563, but official records of such working agreements weren’t kept until the early 18th century, when the government began taxing the premium paid by parents to masters for taking on their children. As it is today, education and training in the 18th century was big business, with an apprenticeship costing parents between £10 and £50 – equivalent to £1,700-£8,600 today. Some apprenticeships to the most eminent merchants would even cost as much as £1,000 (£175,000 in today’s money) so it wasn’t uncommon for parents to pay in instalments or part-pay in goods such as food or precious items. Regardless of how the apprenticeship was paid, the government took a cut of every premium upon completion of tenure. • Edward Jenner – Known as the ‘Father of Immunology’ and developer of the smallpox vaccine. While academics previously believed that Jenner had been apprenticed to a surgeon named Daniel Ludlow, the records reveal that his master was actually named George Hardwick, an apothecary based in Chipping-Sodbury. The cost of his training was £100 (equivalent to £14,000 today). • William Blake – Artist, writer and poet, considered one of the greatest in British history. Blake was apprenticed to engraver and stationer James Basire in 1772 (aged 14). It was during this apprenticeship that he was sent to study and draw images found within London’s gothic churches, which helped develop his distinctive style. His parents paid Basire £53 for his seven years training (£6,700 today). • Thomas Chippendale – Maker of the famous Chippendale furniture that inspired centuries of design. He is listed as a master employing an apprentice named Nathaniel Hopson in 1774 for the sum of £31 (£5,000 today). The vast majority (around 97 per cent) of apprentices were boys, with the most common trades being coopers, tailors and carpenters. Of the small number of girls included in the collection, most are listed as apprentice tailors, seamstresses and mantua makers (dressmakers) and would frequently pay a greater premium for their indenture. Masters were often friends of the family, with many trades were dominated by a small number of well-networked families. For those less well-connected, it wasn’t uncommon to advertise in the local newspaper to find a master, and conversely masters would often advertise to find a likely apprentice. Despite the title of apprentice being one that was often paid for, much desired and legally binding, it is thought that only about 50 per cent of apprentices completed their terms. Some were ill-treated, some ran away and in other cases their masters became ill, went bankrupt, absconded from their families, or died. In the latter cases, the child might be "turned over" to another master. The number of apprentices who ran away was always higher during periods of foreign wars when some found refuge from uncongenial trades and masters in the army or navy. In Warwickshire, for instance, advertisements in the local newspapers by masters trying to trace their runaway apprentices reach a peak in 1810-11 during the Napoleonic Wars. FindmyPast has launched its new look website at www.findmypast.co.uk. The new site has several new categories of records, located under the "Search records" tab (see the screengrab). There are also several video tutorials and much more. The company has also announced via its blog a revision to its pricing policy. At findmypast.co.uk, we’re committed to offering you the best possible value when researching your family tree. That’s why we’ve just reduced the prices of our most popular subscriptions, Full and Foundation. As an example of the significant amount of money you’ll save, our 12 month Full subscription used to cost you £129.95. With our new prices, you will now pay just £109.95. For those of you with Explorer and 1911 census subscriptions, we hope you’ll take this opportunity to upgrade to a Full or Foundation subscription at the new reduced prices and enjoy access to more records for less money. Remember that when you choose a Full subscription, the thousands of new records we add to findmypast.co.uk each month will automatically be included in your subscription. As before, our existing customers will still pay even lower prices when they renew, thanks to our loyalty discount. Last call for next Pharos Scottish course! 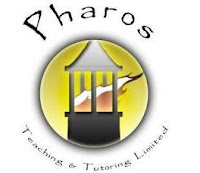 Hi folks, last call for the next Scottish based Pharos Teaching and Tutoring Limited (www.pharostutors.com) course which starts on Monday 29th August! There's a brief video intro to the course from me on the top left of this blog page and at http://youtu.be/Msa-L5tiDnA - hopefully see you soon! If your family was involved in the Kildonan Clearances, check out www.timespan.org.uk/kildonan-clearances-trail-information-gathering-workshops-in-timespan/ for news of a series of research and discussion workshops to be held from August 27th to October 5th, at the Timespan Hub in Helmsdale, Sutherland. To coincide with the 97th anniversary of the outbreak of WW1, UK family history site Genes Reunited have released a variety of military records. The Royal Naval Officers' records contain the complete WW1 Campaign Medal Rolls from 1914 - 1920 for 53,000 Royal Navy Officers. The transcriptions include the service details for Officers killed in action and those who died of wounds during WW1, in many cases they also contain post WW1 deaths and some WW2 deaths. Another great resource for family historians are the recently added Soldiers Died in the Great War 1914-1919 records which include 703, 806 soldiers. The records contain soldiers who were killed in action, died of wounds, died of disease or other natural/accidental causes and those recorded as missing presumed dead. Now that the records are available online, genesreunited.co.uk has discovered the famous poet, Wilfred Owen in the Soldiers Died in the Great War 1914-1919 records. The record states his full name, Wilfred Edward Salter Owen and describes how he was part of the 5th Battalion of the Manchester Regiment. The record details that he was killed in action on the 4th November 1918. Rhoda Breakell, Head of Genes Reunited comments: "These military records are an important resource for family historians and we are thrilled to be adding to our continually growing military record collection." There are also several overseas BMD and POW records concerning military personnel from across the UK. More news on the new collections when I get it! This collection contains registers of the money received for the payment on taxes for an apprentice’s indenture between 1710-1811. The registers kept track of the money paid by masters of a trade to have an apprentice. The dates in the records are for when the tax was paid and may be some years after the apprenticeship, not when it started or finished. The masters did not have to pay stamp duty on the apprentices that were assigned by the common or public charge of any township or parish. This means a lot of apprentices won’t be included in these records. Local or charity records are the best place to find records of these types of apprenticeships. Source: Board of Stamps: Apprenticeship Books, Series IR 1; The National Archives of the UK (TNA), Kew, Surrey, England. COMMENT: The first half of this database has previously been indexed by the Society of Genealogists and also placed online at FindmyPast, where it is listed as the Apprentices Of Great Britain 1710-1774 collection. This tax system was actually stopped in 1804, but as apprenticeships usually lasted 7 years, many records continue up to 1811. The collection includes Scotland and Wales also, so Ancestry's collection is most definitely not just for England. I believe I have just discovered an apprenticeship for both my four x great grandfather and his brother through the database, both trained as weavers in Perth. It would be great if a company with '.co.uk' in its title actually looked into the meaning of the 'uk' bit from time to time! Flippancy aside, one wonders why there is not much more care taken with such things - all that happens is that potential customers from Scotland and Wales don't think to have a look, as they won't think it applies to them. Ancestry is basically just turning away potential trade. Nevertheless, an important and very useful collection. UPDATE: Ancestry has renamed the collection - it is now UK, Register of Duties Paid for Apprentices' Indentures, 1710-1811 - still incorrect (it's for Britain only); though worth pointing I have found three entries for people from Dublin - one from 1805 when Ireland was in the UK (it joined in 1801), and 2 from 18th C; and one entry from Waterford in 1720! But a better label than 'England', which might have deterred Scots and Welsh folk from even bothering to look! Births in Reef, Uig, Isle of Lewis, from 1824-1845 have been indexed from the Uig OPR and placed online at www.ceuig.com/places/villages/reef/reef-births-1824-1845. The Scottish GENES Facebook page now has a much simpler to remember web address - www.facebook.com/ScottishGENES. You will find links to all the stories on the blog, some bonus video material and links to additional stories and interesting tips as shared by other genies on Facebook. And you can also leave comments, and in due course I will run some further polls. I ran a poll last week on the TV series Who Do You Think You Are, with seven possible answers on what you felt about the show - though hadn't twigged that only three possible answers would show without users having to click on a further link! 59 people answered it (big thanks! ), but all replied using only the three visible answers, so lessons learned for the next poll, which I will confine to just 3 possibilities! For the record, 43 found it entertaining and worth the wait every year, 13 were indifferent but would watch it if on, though found it varied in quality from week to week - and 3 had never seen it! All the convenience of each story in one simple daily digest! There will be a few changes in due course once I have my next book out of the way - but more on that soon! :) In the meantime, thanks for following! A couple of additional collections for Perthshire will soon be available on Ancestry (www.ancestry.co.uk), thanks to the World Archives Project. Both are now 'in processing' - a release date is not yet known, but hopefully should be fairly soon! The Scottish Legal History Group will be having its 31st annual conference in Edinburgh on October 1st 2011. The thirty-first Annual Conference and AGM of the Scottish Legal History Group will be held in the Reading Room of the Advocates’ Library, Parliament House, Edinburgh, on Saturday 1st October 2011. All welcome upon payment of the conference fee of £10 to the Secretary, Dr Mark Godfrey, School of Law, University of Glasgow, Glasgow G12 8QQ. Our archive holds over 18 million items relating to both Scotland and other locations throughout the world - these range from general, historical and aerial photography, to drawings, maps, plans and manuscripts. All of this material is made accessible to the public at www.rcahms.gov.uk, at www.canmore.rcahms.gov.uk, and in our public search room in Edinburgh. The imagery we hold comes from a wide variety of sources - from collections of historical photography that have been donated to us to hold in trust for the nation, to photography of Scotland's landscapes, archaeology and architecture taken every day by our own expert staff. We endeavour to make this material as widely available as possible, through everything from our websites and search room, to exhibitions and books. In the case of our imagery, we have a legal duty to enforce and protect copyright law. The millions of items in our archive that are (c)RCAHMS are available to anyone to use, subject to a licence and potentially a fee. In the case of the 'Lost Edinburgh' Facebook page, the overriding issue is that Facebook's own terms and conditions for the posting of images prevent us from posting (c)RCAHMS images. We couldn't give the creators of the 'Lost Edinburgh' page the permission to post images, and we cannot post them ourselves - to do so would mean granting Facebook rights in our images, which would be in breach of our duty to protect the copyright of these images for all those who have deposited them with our National Collection. All other archives, museums and galleries that hold imagery are in the same position when it comes to sharing material on Facebook. We have, however, recently developed our own database Canmore to allow the public to share their images and comments with our National Collection. To date, over 14,000 public images have been added to our online database, and can be viewed alongside our own images, and expert information on buildings and monuments. As well as being held within our database, the images can also all be viewed on Flickr at www.flickr.com/photos/rcahms/ . We are continually looking at ways to update our web interface - and how we can collaborate with external sites like Flickr - to make it easier for the public to get involved with talking about and sharing imagery on Scotland's fascinating built environment. The popular genealogy series ‘Digging up Your Roots’ returns to BBC Radio Scotland in the new year. We are keen to hear from people who are researching their ancestry. I wondered if you might be able to pass this information on to any one who may have a question about the life of one a family member, or a great tale to tell. The Dungarvan Leader has been digitised for those with Waterford based ancestors in the Republic of Ireland, and made available at www.waterfordcountylibrary.ie/en/localstudies/newspapers/dungarvanleaderonline/. The collection covers 1959-1984, but is unfortunately not keyword searchable, so you'll need to browse through individual PDF copies one at a time. nevertheless, another useful online newspaper resource for the south east of the island. The annual National Family History Fair draws ever nearer, and there are now three main speakers giving talks at this year's event. In addition to Nick Barratt and William Roulston (see http://scottishancestry.blogspot.com/2011/06/national-family-history-fair-2011.html), Laurence Harris, Head of Genealogy (UK) at My Heritage (www.myheritage.com) will also be doing a talk entitled Collaborative Genealogy, Family Networks & Smart Research. Each talk will cost £3 each (separate to the £3 admission fee). For further details on the fair, which is taking place at Newcastle Central Premier Inn on September 10th, please visit www.nationalfamilyhistoryfair.com. I've had a note from Diane Baptie concerning a blog post I made about the latest SAFHS newsletter on April 13th, available at http://scottishancestry.blogspot.com/2011/04/safhs-newsletter-now-available.html. Amongst the developments I commented on in the document, which is online at www.safhs.org.uk/Documents/bulletin201104.pdf, is the following: "On a downside, Elizabeth Mortimer retired in January and Diane Baptie has also decided to retire from ASGRA. Elizabeth is a past Chairman, and Diane a past Treasurer and Chairman of ASGRA. Their experience and expertise will be greatly missed." Based on this, I paid tribute to Diane as follows: "One other piece of news is that Diane Baptie is retiring from ASGRA after many years as a member. I'm often asked about particular brick walls in research, often on the church records front, and Diane's guide Registers of the Secession Churches in Scotland is of one the most valuable books I have in my library. You can find it for sale through SAFHS (www.safhs.org.uk), and best of luck to her for the future." Diane has been in touch to state that due to illness earlier in the year, she decided to give up doing in-depth research, but is in fact still continuing to specialise in transcribing earlier Scots documents and to give advice and explanations about them. Happy to clarify the situation! Wow! I've just had it confirmed by publisher Pen and Sword that my book Tracing Your Family History on the Internet has sold out - and not only that, but it has been the fastest selling family history title that they've ever had! Thanks to all who have purchased the book so far, and I hope that it has helped, and is continuing to help, with your research. For those who still wish to obtain a copy, Pen and Sword has ordered a reprint, and new stock is expected to arrive within the month. So do order a copy, but just be aware that there may be a wee delay in its delivery! A new Scottish Government report, Public Attitudes Towards the Gaelic Language, shows that some 81% of the public feel it is important to preserve the Gaelic language in Scotland. The full report is available at www.scotland.gov.uk/Publications/2011/08/04160631/0, with a summary of its findings at www.scotland.gov.uk/Publications/2011/08/04140925/0. * 90 per cent thought pupils should be taught Scottish studies. American website Footnote.com has been renamed as Fold3.com and will now concentrate solely on American military history. It may be something of a bizarre name to our ears here in Scotland, but actually reflects part of the American tradition of folding a flag to honour the fallen. Something I had not picked up on was the fact that Ancestry acquired Footnote last year, but the official press release for this now suggests that you can identify a veteran through Ancestry, and then find the service record on Fold3.com. There are almost 75 million records here going back to the US's colonial period, so you may well find a Scottish connection. If you have American military in your family, read the full press release on all of this at the Olive Tree Genealogy Blog at http://olivetreegenealogy.blogspot.com/2011/08/press-release-about-footnotecom-changes.html. The company's London 1911 census records are now all online, and the equivalent Isle of Man entries have also just been loaded. I've just had a note from Belinda Griffin at Family Tree, who has asked me to pass on a message to users of the magazine's online discussion forum - so here goes! Family Tree will be updating its family history forum very soon. When the new forum goes live you will need to reset your password, and to do this you will have to enter your username and email address. A new password will then be emailed to you. Full instructions will be given at the time. Please take a moment to log in to the forum (www.familyhistoryforum.co.uk) and click ‘My Controls’ to check that your email address is correct. New users of the forum are also welcome! Don't forget that for all you overseas type folk, the magazine's new digital edition is also now available for download and can also be read on both the Android and iPad based platforms - see http://scottishancestry.blogspot.com/2011/08/family-tree-magazine-now-online.html. The BBC is to sell off all rights to its non-branded magazines and license or contract away control of additional titles to private equity firm Exponent, in a deal worth £121 million. One of the titles which BBC Worldwide is selling off outright is Who Do You Think You Are magazine, along with long standing titles such as Home and Antiques and the long running Radio Times. Between July and December 2010 Who Do You Think You Are magazine had a circulation of 22,373, an increase in readership of some 10.4% from the previous year, and was ironically the title with the highest increase in subscription rate of the eleven titles to be sold off. If the deal gets Office of Fair Trading approval within the next 40 days, it is expected that Exponent will create a new company to which the majority of BBC Magazines staff and operations will transfer. And for a comment on what I think of it all - see my previous post of March 2010 at http://scottishancestry.blogspot.com/2010/03/could-bbc-who-do-you-think-you-are.html, when the idea was first suggested. The National Archives' crime, courts and convicts collection is to be transcribed, digitised and published online by brightsolid, following an open tender process. Comprising bound volumes and loose papers dating from 1782 onwards, this vast collection includes records from the Home Office, Prison Commission, Metropolitan Police, Central Criminal Court and the Admiralty. The records will be searchable by name, alias, date of birth, place, offence and sentence. Content such as judges' reports, prison registers, transfer papers and gaolers' reports will also be included. The project is expected to take a year, with the records available from December 2012. The full announcement is available at www.nationalarchives.gov.uk/news/611.htm. I believe a similar project is currently underway through FindmyPast Ireland just now also, so, ummm - Scotland? We had a few baddies also, it would be nice to complete the set! In the meantime, a useful starting point for criminal activity in Scotland is the National Records of Scotland catalogue at www.nas.gov.uk/onlinecatalogue, or local newspapers such as those on the British Library 19th Century Newspapers collection. The Archive holds documents relating to the Jacobite rebellions and activities in Perthshire, and a Friends volunteer has created a database which has gathered them all together. Through the database you can contain find which collections and documents are about the Jacobites, and details from the original records about those who were involved. PRONI and The Open University in Ireland (OUI) will be delivering a Local History lecture series, beginning in September 2011. Dr Janice Holmes, Dr Olwen Purdue and Dr Barry Sheen from OUI will examine major themes and local history sources, with PRONI staff presenting examples from PRONI’s collections. Lectures will run from 6.30-8pm at PRONI. Admission is FREE and open to all but booking essential. Please contact PRONI / email proni@dcalni.gov.uk to secure your place. Essentially this means that unless you now have a paid for Geni Pro account, you can no longer continue to integrate your research with others or view other people's profiles on the site - a key part to how the site actually operates. Your tree can still be edited, but there are restrictions on how much you can now do - for example, you cannot apparently add profiles earlier than 3rd great grandfather. All a bit 'not cricket' really, with some now claiming to have been duped by the online company. I first came across Geni at Who Do You Think You Are? Live three years ago, where I remember asking them to explain their funding model, which I could not understand. I even blogged about this lightheartedly at http://scottishancestry.blogspot.com/2008/05/who-do-you-think-you-are-live-report.html where I stated "And it is totally free, which I still don't understand...!". They even gave me a free t-shirt! I think I, like many others, assumed the funding would come from add on products. However, one real beef I had with the site was that it had a very aggressive e-mail policy at the time, to the point where I ended up listing the address as spam in my e-mail programme - not least because I had one or two users demanding equally aggressively that I allow them access to integrate my tree with theirs, which I refused as I had not verified their information. Recently I was contacted by the site and asked to try the Geni Pro subscription, and even wrote an article about the main tree software, which is very good, for a leading computer magazine. However, it now seems that Geni may have just pulled the rug out from under a substantial part of its customer base, so I feel it only fair to alert anyone who read my piece to be aware of this new controversy. Transcribed records from the Royal Irish Constabulary have been added to the Ireland Genealogy Project Archives, mainly from the 1840s. They are indexed by county of origin, making any RIC ancestors much easier to trace. To access them, click on www.igp-web.com/IGPArchives/, then county of origin, and then the Military and Constabulary link. An incomplete index to just under 70,000 RIC records from 1816-1921 is available on Ancestry at http://search.ancestry.co.uk/search/db.aspx?dbid=6087. The original records, held at the National Archives at Kew, are slated for digitisation in the near future by the archive. Scotland and England are to receive £363 million for rural broadband investment, according to a BBC report at www.bbc.co.uk/news/technology-14539380. Unfortunately the article only outlines how the funding will be broken down in England, as the Scottish Government has yet to decide how to allocate its share of the pot. If my sums are right, having tallied up what the English regions are getting (£281,940,000) it looks like Scotland will be getting just over £81 million. A useful development for many when it happens! 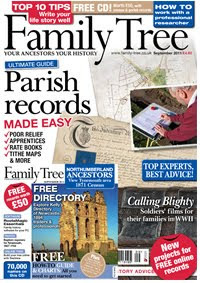 Family Tree magazine (not to be confused with an American title with a similar name) is the latest UK genealogy magazine to now offer an option to purchase online in PDF format. A six issue subscription is £19.99 and twelve months at £34.99. It can be read on both iPad and Android based platforms. The key difference between it and the print copy is that you don't get the freebie cover mounted CD. Currently edited by Helen Tovey, the magazine is produced by ABM Publishing, and has a lengthy history behind it, with a vast range of articles on all sorts of areas of interest to family history research. Yours truly also has the current privilege of producing the monthly news column for it. It's a great and authoritative read, and is a celebrity free zone, more interested in helping you and your research! Note that back issues back to March 2010 are also available. Single issues can be purchased at £3.99. A new ten day long history festival is being planned in Edinburgh from November 17th-27th by music festival organiser Ian Harrower and stand-up comedian Susan Morrison. To be called Scotland's History Festival, the new venture is aimed at bringing together academics, local history groups, students and tourists, and it is hoped it will attract 30,000 attendees in its inaugural year. Amongst its offerings will be a 'genealogy roadshow' and a series of debates on Scotland's national identity and emigration. On August 5th Scotland's Registrar General Duncan MacNiven retired from the post he had held since 2003. I'd like to wish Duncan the very best for the future, and to thank him for his help in the past, both in granting permissions for image use within publications I have worked on, but specifically with something he did last year that showed what a gent he truly is! The next Scottish Research Online course starts in a fortnight's time, so I figured I'd do a wee blether about it and let you know what it is all about! For more information on the course visit www.pharostutors.com/details.php?coursenumber=102 - they're always fun, so I hope to see a few of you soon! This item is woefully late, but best to carry it anyway! I've just noticed from the website of the Court of the Lord Lyon (www.lyon-court.com/lordlyon/716.html) the following item of news from June 23rd. The Lord Lyon King of Arms has appointed Mrs. Yvonne Holton, Herald Painter, to be Dingwall Pursuivant of Arms with effect from 20th June 2011. Thanks to Ronnie Scott at the University of Strathclyde and to Glasgow and West of Scotland Family History Society for the heads up on the following exciting development concerning the city of Glasgow. Both had heard news of Glasgow City Archives apparently digitising burial records for the city, but there was little information about how the records would be presented. It had been posited that the records might have been digitised for presentation at some stage on ScotlandsPeople. However, I have contacted the centre for any details, and it has since been clarified that this is in fact a combined initiative by the National Records of Scotland, Glasgow City Archives and FamilySearch. NRS are assessing how much work is needed to index these records to allow them to be readily searched so no timescale for the release of these records is known at this stage. There is no indication as to how these records will be made available, nor on the scope of the project. Certainly ScotlandsPeople has no plans on this, as the priority there just now is the Valuation Rolls which should be going online soon. So at the moment it is anybody's guess as to where and when they will appear - but very interesting to note that FamilySearch is involved! Obviously I'll bring any further developments on this if I can. In June I blogged that Brightsolid had entered into a funding arrangement with UKTV to produce a new genealogy series, entitled Find My Past (see http://scottishancestry.blogspot.com/2011/06/find-my-past-tv-series.html). The new series has now been confirmed for broadcast from Thursday October 20th at 9pm on UKTV's Yesterday channel. Many people wonder if they are related to someone who might have been lucky enough, or brave enough, to contribute to a major historical event. In Find My Past, a new genealogy series on the UK’s leading factual channel Yesterday, ordinary members of the public will get to find out just that. Presented by TV presenter and Strictly Come Dancing 2009 champion, Chris Hollins, each week Find My Past, an AFP with Findmypast.co.uk, will take three people on a journey to discover how they are related to someone from a major historical event. The programme will follow each of them as they uncover who their ancestor is and the part they played in history, before uniting them to discover how they are linked. The contributors will set off on a journey each week to learn more about their unexplored ancestry. Each will go on their own unique path to learn about their ancestor and the event with which their relative was involved. Find My Past will make history personal and ignite an interest in viewers to find out if they too could be related to great people from the past. The famous events that will feature in the series are The Battle of Britain, Mutiny on the Bounty, Jack the Ripper, Dunkirk, D Day, The Titanic, The Battle of the Somme, The Tay Bridge Disaster, A Victorian Royal Scandal and Emily Davison - the suffragette who threw herself under the King’s Horse. In the summer and autumn of 1940 Hitler’s main aim was to gain superiority over the British RAF and Flight Command. The Battle of Britain became the first major campaign to be fought entirely by air forces and was the largest, most sustained aerial bombing campaign to that date. As well as the pilots fighting in the air there were a huge number of WAAF on the ground helping to mastermind the RAF’s next move. In Find My Past: Battle of Britain the programme will follow the journey of the grandson and nephew of two RAF pilots, Bobby Oxspring and Claude Parsons, who flew in the same Spitfire Squadron, No 66. They were in the thick of the battle in skies over Britain in 1940 and for them the Battle of Britain had two very different outcomes. The third contributor is the great nephew of WAAF servicewoman E. M. Birch, who was an operation room plotter with the key job of directing the Spitfires from 66 Squadron to intercept the German aircraft. The three contributors will meet experts, eye-witnesses and veterans to discover the pivotal role of their ancestors in this iconic event. Mutiny on The Bounty is a world famous story and one that has been recreated on film many times over. On 28 April 1789 Captain William Bligh of The Bounty was set adrift in a long boat in an act of mutiny by his First Mate, Fletcher Christian, but what really happened on the now legendary voyage? In Find My Past: Mutiny on The Bounty the descendants of William Bligh, Fletcher Christian and John Fryer, the ships Master, will learn all that happened on the infamous voyage before revealing to each other their discoveries and deciding which of their famous ancestors was really to blame for the mutiny. Each episode will unearth emotional stories, shocking details and fascinating facts and will show how easily any one could be related to some of histories most famous people and events. Don’t miss the exciting discoveries in Yesterday’s exclusive new genealogy series, Find My Past, when the series begins on Thursday 20 October at 9pm. Two brand new series commemorating the war effort made by thousands of Britons from the Second World War to the present day, have today been announced by BBC Daytime. In Remembrance Week on BBC One this autumn, Gethin Jones explores the personal stories of people whose lives have been touched by war from the Second World War to recent modern day conflicts including the Falklands, Balkans, the Gulf Wars and Afghanistan. Over on BBC Two, in How We Won The War, Jules Hudson looks back to Forties Britain, as he travels across the UK to meet some of the ordinary men and women who did extraordinary things to help win the Second World War and who were heroes in their own right. Liam Keelan, Controller of Daytime, says: "These two new social history series celebrate and commemorate the war effort made by the many individuals across the UK from the Second World War to modern day. I'm delighted to welcome Gethin Jones as the host of Remembrance Week and Jules Hudson – a passionate Second World War historian – to How We Won The War. Both series have emotional but uplifting stories that I hope will inspire our audiences at home about the bravery, camaraderie and companionship of troops throughout history." In the week leading up to Remembrance Sunday 2011, BBC One Daytime celebrates stories of courage, emotion and sacrifice made by thousands of people from all walks of life and from all over the UK. Remembrance Week, presented by Gethin Jones, explores the reality of modern day conflicts as well as those from the past through the personal stories of people whose lives have been touched by war. The series will focus on modern day conflicts including the Falklands, Balkans, the Gulf Wars and Afghanistan. Gethin Jones says: "It's a real privilege to be asked to spend time with our hero's home and abroad as we approach remembrance week. It's a time to honour and reflect on the heroic work our armed forces – past and present – carry out." War veterans, active service men, and posthumous heroes, as well as stories from those not directly involved such as nurses, teachers, civilians, former entertainers of the troops and families form the heart of this series. As well as first person interviews the series will show archive footage, personal photos, letters, diaries, souvenirs and footage from current operations. The BBC executive producer for Remembrance Week (series 2) isGerard Melling, and the 5 x 45 minute series is being made by Fever Media. The executive producer for Fever is David Mortimer. The series is due to air in November 2011. In How We Won The War, Jules Hudson (Countryfile, Dig 1940) travels across the UK to discover how the Second World War was actually won – right here at home – by the ordinary people of the UK. Jules will discover how across the country men, women and children of Britain all did their bit. He'll hear the untold stories of the effort from land girls, home guards, inventors and nurses – who all helped Britain to victory in one of the most important events of the 20th century. Each region of the British Isles made its own unique contribution to the war effort – from London to Scotland and East Anglia to Wales. Jules will hear the remarkable stories of heroism, sacrifice, ingenuity and dedication all waiting to be told. Jules will also focus on several key locations that helped us win the war from the spectacular to the bizarre – including an underground Spitfire factory in Wiltshire, where women worked around the clock, to a POW camp for die-hard Nazis in Scotland. The BBC executive producer for How We Won The War is Pam Cavannagh and the 10 x 30 minute series for BBC Two Daytime is being made by 360 Production in Northern Ireland. The executive producer for 360 is John Farren. The series is due to air in spring 2012. Those of you with Irish roots are in for a treat, with the forthcoming The Irish Family and Local History Handbook! The book is produced by Bob and Liz Blatchford, who have for many years been producing a British version (now in its 13th volume), but this is the first volume dedicated entirely to Ireland. I'm happy to say I've contributed, and there are many other articles from genealogists across both Ireland and Britain, all designed to help you with your Irish research. A new website has now gone online to take pre-orders for the book, which will be officially launched at the Back to Our Past show in Dublin from October 21st-23rd. For more details visit www.genealogical.ie. For buyers in the UK the book will cost £10, plus £4 p&p. The official UK launch is February 2012. On Saturday 27th August Lyle & Scott are hosting the ‘Archive Exchange’ at the Beanscene in Hawick, an event to kick-start the company's campaign to restore its archive for the period from 1874-2000. They are on the lookout for vintage Lyle & Scott memorabilia - garments, historical documents, photographs, cuttings from newspapers - and asking people to bring them along to be photographed for their record. And to say thank you they will be offering a brand new Lyle & Scott item in exchange! 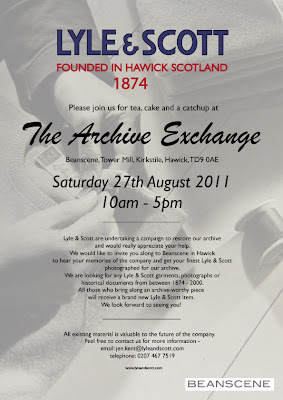 The event runs from 10am-5pm at Beanscene, Tower Mill, Kirkstile, Hawick, TD9 0AE. Who Do You Think You Are? is back on tonight at 9pm, BBC1. Actress June Brown (Dot Cotton in Eastenders) is up first. One of the great things about travelling to family history events is the people you get to meet who can suddenly drop a wee gem in your lap, a nugget of information or a revelation that can surprise you that you haven't come across it before. I recently caught up for the first time with Tunji Lees at the ScotFamTree AGM, and over lunch in the A. K. Bell Library coffee shop he described just such a record set held in Edinburgh. And it's a cracker! If you have ancestors who survived the First World War and claimed a pension (successfully or otherwise) the next few paragraphs should be of interest. Over to Tunji...! I've recently discovered a great, little-known source for people researching the service of their First World War ancestors in Scotland. There are a set of post-WW1 pension appeal records held by the National Records of Scotland (www.nrscotland.gov.uk). The records are catalogued under the reference PT6 and contain the pension application records of 1000s of Scottish soldiers -and next of kin of soldiers (usually widows) - who suffered from injuries sustained in the war, or died after the war due to injuries. These appear to be the Scottish equivalent of the PIN26 series for England and Wales (which, unlike the Scottish PT6 series, is indexed). Whereas the PT26 series appears to only be a selection of the disability pensions awarded to English and Welsh soldiers after the First World War, the Scottish PT6 series appears to be complete. And as you'll see below, the Scottish records are also quite detailed. The applications are organised in boxes alphabetically by month, from November 1919 (reference PT6/1), to December 1932 (reference PT6/288). That's about 29 meters (or 95 feet) of pension records! There are also records from the same series covering post-WW2 disability pension applications, however seeing as they are closed for 75 years, the first set (those from 1945) will only be available in 2021. It doesn't appear as if any genealogists are aware of the existence of these records, as they aren’t mentioned in the NAS publication Tracing your Scottish Ancestors, or in any guides to tracing WW1 ancestry that I've read, although they're a fantastic source of information on Scottish army ancestors. Because most WW1 service records were burnt during WW2 (surviving records from record series WO363 and WO364 are indexed on ancestry.co.uk), it can be difficult tracing your ancestor's service during WW1. In fact, they say you only have about a 30% chance in finding a record of your ancestor's service. Hopefully, these set of applications can raise that chance to at least 40% or 50%. If you think your ancestor might have suffered from a disability due to the war, or died in the years afterwards, then I would strongly recommend consulting them. Many of the applications were actually rejected, so even if you know your ancestor didn't receive a disability pension, it's still possible there's a record of him applying for one. It's not clear to me whether these only cover army soldiers, or for other services also. Each file also has some information on the soldier's medical history. From around 1923, the application files start to get thicker and thicker, some having up to 10 or more pages of medical history, detailing the medical condition of the soldier throughout, and after, the war, as well as his date and cause of death if he died. Some of the files also include correspondence relating to the application.The application records are held off-site, and will need to be ordered 24 hours in advance. Occasionally, I've come across a file which had not been filed under the correct letter within the box, and once, I came across a file that had been filed in the wrong box. I believe these records have great potential for being a useful source for WW1 family history research. The problem with them however is that, without an index, it can be very time consuming looking for a pension record unless you know exactly when it was applied for. I hope someone will see fit to digitise or at least index them. Perhaps this could be a project for a genealogy society, or a commercial website (findmypast?). I can't see the NRS indexing or digitising them any time soon, as I know they're already quite busy with digitising valuation rolls, and other records. Tunji Lees is a keen family historian who at the age of 21 resides and teaches in Austria, but who has already spent considerable time in France, Belgium, Yorkshire and Nigeria. He has a deep interest in his own Scottish ancestry, and is an active participant on the ScotFamTree forum. HOUSTON TX — AUGUST 5, 2011 - Family Tree DNA is pleased to announce the launch of a new feature: Y-DNA "Third Party" uploads. This will allow for the upload of 33 and 46-marker Y-DNA test results from Ancestry, GeneTree and Sorenson's SMGF. This comes as a natural development since the necessary tools were created to import the customer database it recently acquired from DNAHeritage after that company ceased its operations. Family Tree DNA will be charging a nominal fee of $19 to import third party results into its database. This $19 fee will be credited to customers who later order upgrades or add-ons. For an additional $39, customers who transfer their third party results will also have additional markers tested so that they can receive matches to Family Tree DNA's 25 or 37-marker level, ancestral origins, and other features of the personal page. The $19 fee will provide the customer with a Family Tree DNA personal page which will allow them to join Family Tree DNA projects. This means that results will be available to the administrator and included on the project's public page for comparison with other project members. The $58 fee ($19 transfer fee + $39 for the added markers to Family Tree DNA's 25 or 37-marker level) will include the same features provided to Family Tree DNA customers in their personal pages, including matches and Haplogroup prediction. For any additional questions, please refer to Family Tree DNA’s corresponding FAQ section under “3rd Party Transfers: Y-DNA Results“. Ancestral Scotland (www.ancestralscotland.com) is offering 30 free ScotlandsPeople credits, worth £7, to overseas residents in Australia, New Zealand, Canada and the United States. The credits can be used at www.scotlandspeople.gov.uk to view Scottish vital and census records (about 4 digitised records and two LDS 1881 census transcriptions views - wills and Arms not included). AncestralScotland, Scottish Government and ScotlandsPeople, Scotland’s official online source of genealogical information, are offering you 30 FREE search credits, worth approximately £7GBP. Researching your Scottish ancestors can be very rewarding, but nothing compares to experiencing first-hand the places they lived and worked. Try on the kilt of your clan, touch the walls of your family castle and see the very documents that chronicle their lives. The promotion is only available to those overseas, but a similar promotion for UK residents is available, except with this you can only get 10 credits, which allows you to view one digitised record and a few entries on the transcription of the 1881 census. But ten free credits is ten free credits - so ignore the.... OK, you get it! The link for this is available at www.ancestralscotland.com/newsletter/. Have fun, and if you're visiting Scotland, turas math dhuibh! UPDATE: Note at bottom of page - "this promotion is only open to residents of the United States, Canada, Australia and New Zealand. Exisiting users/account holders of www.scotlandspeople.gov.uk cannot claim and misuse will result in them being penalised." So registering with your existing account is a no-no apparently. No idea what happens if you set up another account though. Also no idea what 'penalised' means. This is a quick plug for a forthcoming book by a friend of mine, Emma Jolly. Tracing Your British Indian Ancestors is a 192 page tome coming soon from Pen and Sword Ltd (Feb 12th 2012), detailing all you need to know about the British presence in India in empire days. Family history obviously covers everything and anything that ever once happened, but when it comes to British research, I think of myself as having at least a rough idea about some areas which I don't often delve into for research purposes. India, however, is most definitely one area that I know next to nothing about, though thanks to the good folks at FIBIS (www.new.fibis.org) that has been partially addressed. I recently discovered an ancestor of mine who was born in India, and it was Emma I turned to in order to help me trace some parish records at the British Library, which she sorted effortlessly, definitely knowing her stuff! I've been lucky enough to have seen an early draft of one of the chapters in this book, and it really is dynamite, as it not only deals with the records but also the history and the context that is so crucial for family history research. The cover for the book has just appeared on Amazon, and you can of course pre-order it there (www.amazon.co.uk/Tracing-Your-British-Indian-Ancestors/dp/1848845731/ref=ntt_at_ep_dpt_1) or in due course from the Pen and Sword site itself (www.pen-and-sword.co.uk). There's a tale about land entailed through a 'tailzie' in Skelmorlie, just up the road from where I live in Largs, North Ayrshire, at my other blog - see http://walkingineternity.blogspot.com/2011/08/tailzies-in-skelmorlie.html?spref=tw. The piece also provides a bit of background on what a tailzie was - enjoy! Ancestry has now provided a link to its new Family Tree Maker 2012 beta - it can be directly downloaded from http://link.ancestry.com/u.d?oYGgjyBAM5yok_8JFYk=10. The Ancestry discussion board at http://boards.ancestry.com/ftmsyncbeta/475/mb.ashx is asking for feedback to the beta, which now introduces a new tree syncing feature - so if you have your tree hosted on Ancestry, you can change it in real time as you work without having to constantly re-upload a Gedcom file etc. We are very excited about this forthcoming new release of Family Tree Maker. For your information, not only are we identifying and fixing a number of critical issues during this beta period, but a very high percentage of beta participants are synchronizing their trees successfully. In fact, we are seeing thousands of files being synchronized successfully each day compared to a relatively small number of failures—which continue to decline. We encourage you to continue to share your experience and your suggestions on this message board. It is important to note that this is a beta, not the final product, so you may well find glitches as you work - that is the point of beta testing, to iron out the bugs! Thanks to Tamura Jones for updating me on this - Tamura's updated post on the new beta is available at www.tamurajones.net/FTMSyncBeta.xhtml. As I don't use the programme myself, some further technical aspects in the new programme discussed on Randy Seaver's post at www.geneamusings.com/2011/08/more-family-tree-maker-2012-notes.html are a wee bit beyond me, but may be useful for those who do. What is Britain? - aka it's not England! OK, that provocative title basically summarises Audrey Collins' introduction to her half hour online lecture What is Britain?, as hosted by FamilySearch at http://broadcast.lds.org/elearning/FHD/Community/The_National_Archives/What_Is_Britain_/Player.html! Audrey works at the National Archives in London, and to paraphrase her introduction, the Scots know where Scotland is, the Irish know where Ireland is, and the Welsh know where Wales is, but the English apparently don't know where England is. The Americans don't either, she observes, but they can be forgiven for that as neither do the English. The evidence for that comes from the fact that many English and American folk are forever mixing the words England and Britain up as if they are the same thing! From a genealogical research point of view, it does have consequences, and that is the serious point of Audrey's presentation. You will often read in articles that civil registration began in Britain or the British Isles in 1837, and it most certainly did, but only in England and Wales. In Ireland many of the dates are different, but the structures in some way similar, and in Scotland... well, forget it, virtually everything is different! A brilliant presentation - and I look forward to the next edition, when rumour has it that Audrey will also be teaching the English how to pronounce the letter 'r'...! Thanks to FindmyPast Ireland's Facebook page for flagging up the website for Ireland's National Heritage Week, which is located at www.heritageweek.ie. The week of events takes place from August 20th-28th, and on an all Ireland basis, so check the site for events close to you! If you wish to register an event, you have until the 14th to do so. Indexes at the centre will be updated on a bi-monthly basis with the next refresh scheduled for the end of August. This means that the indexes viewed by customers will be a closer match to those used for civil registration. We are also in the process of digitising the 1841 to 1901 census street indexes from the original volumes. These indexes generally cover the main urban areas in Scotland. Although only Glasgow and Edinburgh were indexed in 1841, the number of areas increases across the years. The indexes help customers to find which enumeration book includes a particular street or institution, so are a useful aid for family history research. As soon as the work is complete we will provide an update and make the images available at the centre and on our website at www.scotlandspeoplehub.gov.uk. Lanarkshire Family History Society (http://lanarkshirefhs.org.uk) is having a family history day on September 3rd. Rather than retype it all, here's the flyer from its Facebook page! The National Archives at Kew has made records relating to apprenticeships available through its Digital Microfilms service. The collection is sourced from IR1, Board of Stamps: Apprenticeship Books. The documents are not indexed, and must be downloaded and browsed. However an index to records for some IR1 records is available on FindmyPast.co.uk (from an index held by the Society of Genealogists), and will soon also be on Ancestry (currently going through the World Archives Project). If you wish to contribute to the project please visit www.genuki.org.uk/org/helpus.html for further details. Doors Open Day is on September 10th and 11th, and several places will be throwing open their doors to let you see what they've done with the place! In a world-first, Ancestry.co.uk, the UK’s favourite family history website,1 in partnership with The National Archives, today launched online the Railway Employment Records, 1833 – 1963, a historic collection containing the employment-related records of British railway workers dating back to the invention of the locomotive in the early 19th century. Billed as the ultimate train-spotters’ collection, the records tell the story of how the rail service grew during the Industrial Revolution and shows staff striving to ‘make it’ as one of the most desirable professions of the Victorian era – a train driver. The collection of 1,998,159 records goes into intricate detail, listing not only name, home station and date of birth of the employee, but also information on their career progression, salary increases, rewards, fines or suspensions for misbehaviour and notes from superiors on the worker’s character and behaviour. The records date from 1833, a time when the Great Western Railway, engineered by Isambard Kingdom Brunel, was in its infancy and the Stockton & Darlington line (opened in 1825) had been running for a little under a decade. By the middle of the 20th century, the entire rail network encompassed 6,000 stations and covered over 21,000 miles of track, with its development widely hailed as the primary catalyst for Britain’s industrial growth. While today many young people aspire to be professional footballers or actors, during the rise of the railways, the role of ‘Engineman 1st Class’ (train driver) was one of the most coveted jobs available to the masses. As a result, men would join the service as labourers, cleaners or attendants and work their way up, often taking 20-25 years before controlling their own train. Working in the railway service in the 19th century was also extremely dangerous as the country got to grips with this ‘new technology’, which is shown in the lists of injuries and fatalities documented in the archive going online today. Prior to 1900, there were approximately 98 major accidents resulting in hundreds of fatalities and over 2,000 serious injuries, all recorded by safety staff in meticulous detail. With stakes so high, the rail companies introduced a series of strict reprimand systems whereby staff members were punished for behaviour that was deemed irresponsible or dangerous. These varied from minor fines (often of a shilling or two) to major disciplinary actions where the worker would be suspended without pay or fired. Examples of misdemeanours found in the records include workers being ‘inebriated’ while at an engine, drivers demoted for running red signals and staff fighting amongst themselves whilst on duty. At the same time, rail workers were actively rewarded for taking action that prevented possible accidents, with the good deed marked in red ink on their personal records and rewards of up to two weeks wages issued. As a result of this system and the advancement of rail safety, the early 20th century rail service became a safer place to work (and safer for passengers too). The rail networks were brought under government control for the first time during WW1 but were returned to private ownership immediately afterwards when the bulk of the system was in the hands of the so-called ‘big four’ – the Great Western Railway, the London, Midland and Scottish Railway, the London and North Eastern Railway and the Southern Railway – all of whom have thousands of former employees listed in this collection. During the WW2, the companies had to join together to operate as one as the war effort put a severe strain on the railways’ resources and created a substantial maintenance backlog – part of the reason why the government brought the rail service into the public sector in 1945. In fact, the majority of employment records in this collection date around this period (1947), although a number date up to 1963. Ancestry.co.uk International Content Director Dan Jones comments: “These records shed light on what it must have been like to work on the railways in its early years – a dangerous job with strict rules and severe reprimands for error, but with the promise of reaching that highly coveted role as an engine driver.